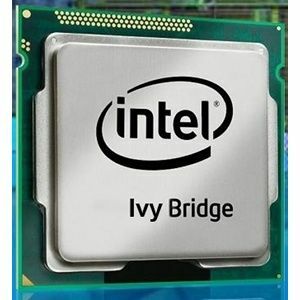 Intel has just released its new updated processor, code-named Ivy Bridge, for both desktops and laptops. You’ll find these new products listed as the 3000 series and you can buy at least some of them now (stock levels permitting, of course). You may be wondering what the new processors bring to the table. Are they worth the upgrade, or are they just an incremental improvement? Intel’s business strategy revolves around a “tick-tock” business strategy. As the name suggests, it is a model that focuses on putting out new products with rhythmic precision. Each “tick” is die-shrink, while each “tock” is a new architecture. With this model Intel constantly improves the design and production of its processors. Ivy Bridge is a tick – and a particularly significant one. The company is moving to a new 22nm production process (down from the previous 32nm process) and is also introducing its new tri-gate transistor. The new processors are the first consumer products based on these technologies. Since this is not an entirely new architecture, you won’t be seeing new features. Instead, the new products are a refinement of existing processors. They’ll be quicker and more efficient than before while retaining features (like Turbo Boost How Intel Turbo Boost Works How Intel Turbo Boost Works Intel's Turbo Boost feature is quite useful but may not be so easy to understand for those who have never used it. Here's what you need to know. Read More ) that made previous processors great. The chipsets have been updated, as well. 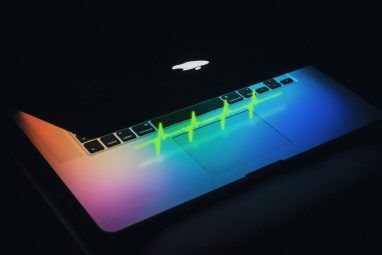 Most of the improvements are under-the-hood enhancements that don’t impact the end user significantly, but the new chipsets do offer integrated USB 3.0 support. This represents the turning point in USB 3.0’s proliferation – from here on, new computers will have many USB 3.0 ports available. A die shrink of microprocessor architecture improves efficiency. This means that it’s possible to extract more performance within the same thermal and electrical limits. New processors made with a better process will be slightly quicker and more efficient than those before. Ivy Bridge is no different. You’ll see a performance boost of 5% to 20% in most situations, which is significant. In my testing I found that converting video with the new Ivy Bridge mobile processors are 10-20% quicker no matter what software is used to do the conversion. If you already have a 2000 series Intel Core processor there’s no reason to upgrade. The performance boost is nice, but it’s far from essential for most users, and there are no new features that will lure you towards the new processors. While Ivy Bridge makes no significant changes to the processor architecture there are some changes to the integrated graphics processor, or IGP. Intel has improved it yet again and will be offering two new versions – Intel HD 2500 and Intel HD 4000. Intel HD 2500 is a minor improvement over the previous Intel HD 2000. It has the same maximum clock speed in desktops and a slightly higher clock speed in some laptops. The number of execution units remains at six. Intel HD 4000, on the other hand, has four more units than Intel HD 3000 – making a total of 16. Combine this with improved drivers and other tweaks and you have a respectable graphics solution and a significant improvement over the preceding hardware. In fact, Intel HD 4000 is on par with low-end discrete graphics solutions such as the Nvidia GT 525M or GT 620M. In some games the new IGP is twice as fast as the outgoing Intel HD 3000. The performance of the IGP is more impressive for laptop users than for desktops. This is because of the lower average resolution of a laptop display. Intel HD 4000 can handle 95% of games on the market at 1366×768 and medium detail, but at desktop resolutions like 1680×1050 or 1980×1200 the IGP is barely adequate. 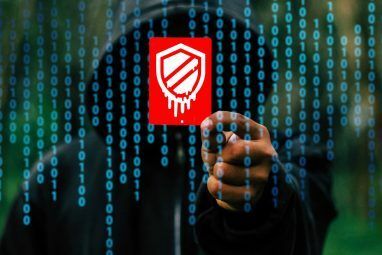 Intel processors from the previous generation were already beating AMD processors 5 Reasons Why AMD Processors Are Doomed [Opinion] 5 Reasons Why AMD Processors Are Doomed [Opinion] Back in late 1999, I built my first computer. It used an AMD Athlon processor clocked at 500 MHz which was quick enough to play most games at the time, and also a better value... Read More in most benchmarks. The Ivy Bridge update only rubs salt in the wound. At this point it is difficult to justify buying an AMD processor at any price point unless you want to do so in protest of Intel’s near-monopoly on the consumer processor market. This is particularly true in the mobile market. The Ivy Bridge processors are much quicker than anything AMD has available in laptops and Intel HD 4000 is generally quicker than the IGP found in an AMD Fusion A4/A6/A8 APU. The launch of a new processor often results in stock shortages. Ivy Bridge is unlikely to be an exception. Intel is leading off with just a few processors, particularly on the mobile side, where quad cores are the first to market. In May and June we’ll see some Core i5 dual-cores become available, but the new processors won’t be ubiquitous in laptops until this fall. You may be wondering if the wait is worthwhile. That depends on your usage. While the new processors are undoubtedly quicker, the existing 2000 series processors offer more than enough performance for today’s users. If you really need a new processor or laptop now, you shouldn’t feel terrible about buying the older product – but if you can wait, you should wait. Don’t expect to see huge discounts on the old product, either. The limited initial availability of new processors will give stores plenty of time to sell off their old stock. You may see $50 shaved off a laptop here or there, or $25 shaved off some desktop processors – but that’s all you should hope for. Explore more about: CPU, Intel. I stumbled upon this site looking for more tips on Intel Ivy’s and seen something that I must correct for the sake of peoples sanity. For one: Intel is great for top of the line cpu’s, but you pay for it. I use I7’s for my heavy lifters and FX 4100’s and I3’s for my employee’s desktops. Second thing is: I have built and used Llano and Trinity computers and both of them do very well vs any I3 I run it against…Trinity especially. I know for a fact that Intel cpu is > then AMD in terms of data crunching, but not as much as people think in multitasking…trinity and FX really hangs in there, and this shocked me. Even against my I7 the A10 trinity was holding its own. Sitting down doing complex CS6 image rendering on the I7 then doing the same tasks on the A10 showed that comparably it was only seconds to hundredths of a second difference. I love my I7 and it made me so mad that a computer that cost almost $500 less was right behind my top end computer. Is $500 + worth 1 sec…don’t know anymore. I am going to wait for next generation of Intel microprocessor ..... Ivy Bridge doesn't sound much of improvement in term of processing power and IGU. Sadly intel still cant make a GPU... Nor a gamers APU. Yet the continue to overcharge for their crap. Trinity's APU really is not that much quicker than Intel HD 4000 and I would only recommend a Trinity-powered system to a gamer if they absolutely could not afford a dollar more. Trinity is what you buy if you can't afford something better. Loads of websites out there that list syste, requirements. I have yet to see one the new A10 cant run fine. I have seen some HD4000s are not. Trinity can run games fine. But if you are really gamer you don't just want to run games fine. You want to run them at decent detail settings and high frame rates. Trinity can not do that in modern, demanding titles. 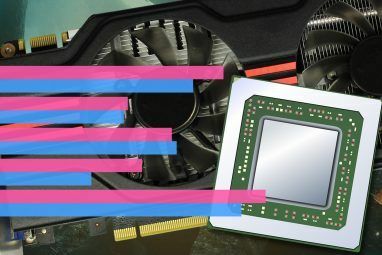 You need to upgrade to a discrete GPU. So it is not what you by because you want it. It's what you buy because you can't afford anything better. Again you forget Trinity will crossfire with a discrete GPU made my AMD/ATI. With that setup they will run ANY modern game with good settings. At FPS that are fluid. I'm not sure what you mean by NES, though if you mean "Nintendo Entertainment System" that is pretty cool. A Ivy Bridge processor can easily handle HTPC service on its own, but a standard voltage version may be difficult to cool adequate without modifying the case. If I were you I'd wait for the low-voltage versions. At the risk of embarrassing myself, can someone put this in layman's terms for my specific situation? I have a mid 2009 MBP and my usage is limited to email, surfing and videos like Netflix. When I play a Netflix movie, my computer is screaming at 90% and the fans are at full power. These are my specs: 2.53GHz Intel Core 2 Duo, 4GB RAM, NVIDIA GeForce 9400M graphics processor with 256MB of DDR3 SDRAM shared with main memory. Netflix is probably not as easy on computers as it should be. I experience similar issues with Netflix on my MacBook. I also can't play 720p YouTube videos smoothly. A new laptop with a better processor (like Ivy Bridge) would resolve the issue. But I'm going to stick with my MacBook for now. Your system specs are fine for Netflix. Well above whatthey recommend. Might wanna see whats running in the background. Will i be able to change my sandy bridge i3 to a ivy bridge one?Or will i have to change the socket or something?does better performance and lesser power consumption mean less heating? Ivy Bridge fits into the same socket as Sandy Bridge (on desktops). It offers lower power consumption. It's not clear if it offers lower heat - Intel changed the heat spreader, and overclockers are reporting that at high clock speeds the Ivy Bridge processors actually run at higher temperatures despite lower power consumption. You can't generally replace laptop processors (and that's been true for a long time). I don't agree that overheating is quite a problem. It's pretty rare these days, unless you place your laptop in the wrong environment (a lot of people still sit laptops on blankets, or place them in an area where their exhaust vent is blocked). Matt..... You can swap Laptop CPUs. Have been able to for years now. Please educate yourself. There is not one single laptop made today that the CPU cant be swapped out of. Hasnt been that way in last 3 years. I didn't say you can't swap laptop CPUs. But it is so difficult and cost-inefficient that it's a non-issue. Its no harder than replacing a desktop cpu. Same as pricing. And with the new APUs out there not only will you be upgrading the CPU you will also be getting new GPU as well. Win Win situation. The APU will cost no more than a cpu alone. Hey WOWaDeal, link me to where I can buy a Trinity mobile APU to upgrade my Llano laptop. Thanks. They just hit OEMS.... Derp.